The digital transformation is driving a relentless growth of the data center industry. The main limiting factor is the availability of affordable power. Data center operators want cheap electricity. Their other stock holders want it green. Hyperscalers are “going green” – or shall we say pretend to? There is no doubt that the truth is much more nuanced and complicated. Based on their corporate reports you might be forgiven for thinking that most hyperscalers are sourcing 100% of their energy from “green”, renewable sources. Then again, how do you define “green”? First, the good news: overall, the data centers’ demand for electricity has remained steady over the last couple of years, mostly as a result of the “hyperscale shift”, the relocation of compute activity from smaller to larger, more efficient facilities. Hyperscale data centers became the “new normal” when cloud giants such as AWS, Google and Microsoft began expanding their massive computational capabilities and embarked on building their own, optimized hardware. Facebook started the trend in 2011 and open-sourced its designs to spearhead innovation in energy efficiency at scale. As the demand for branded hardware boxes collapsed, the likes of Dell EMC, HP(E), IBM and Lenovo struggled to keep up sales. In the process, proprietary hardware designs in hyperscale data centers became a thing of the past. The impact of this is huge. Companies like Cisco and Brocade/Broadcomm still feel the burn to this day. 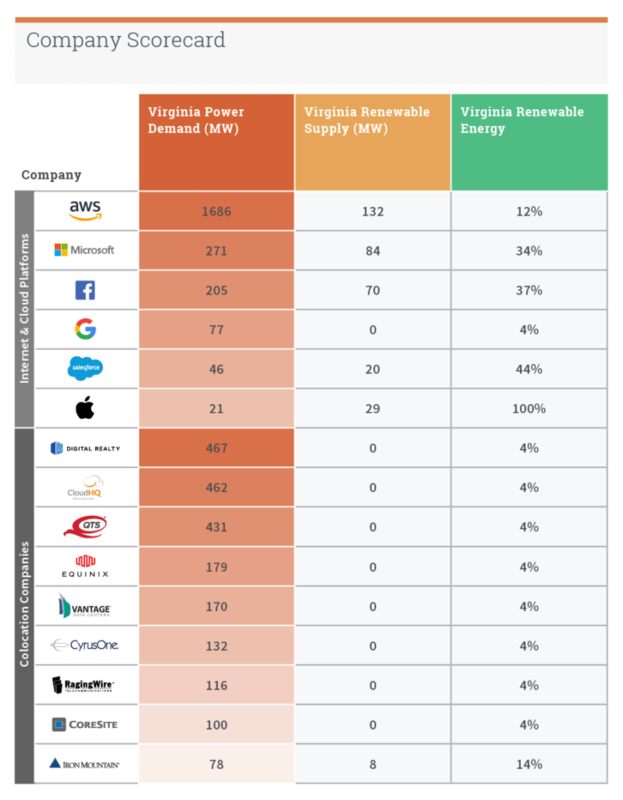 In the report “Clicking Clean Virginia – The Dirty Energy Powering Data Center Alley” (dated: 2019-02-13), Greenpeace concludes that nearly all hyperscalers are still lacking in the “going green” department. The Data Center Alley in Loudoun County, Virginia, carries an estimated 70% of the worldwide internet traffic. 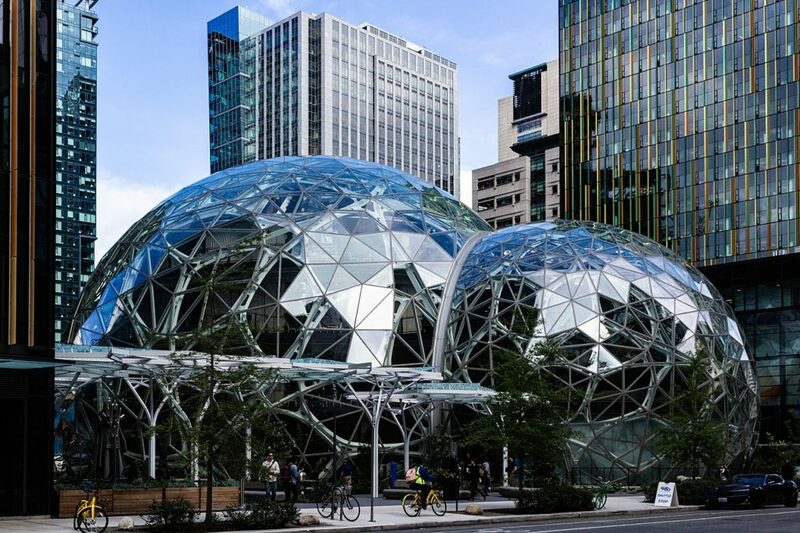 Amazon’s AWS division got the brunt of Greenpeace’s criticism. The data center fleet of AWS in Virginia grew 59% by early 2019 compared to 2017. The bummer, according to Greenpeace: none of it went into renewable energy. Greenpeace states that AWS has an impressive footprint of 55 data centers in Virginia, which are either already in use or being built. The energy demand of the AWS data centers in Virginia totals about 1.7 gigawatt. Insisting on more precise data proved so far elusive for Greenpeace as Amazon remains tight-lipped about its actual numbers. As a result, Greenpeace can’t really decide if there was any real progress. In total, AWS’ reliance on “green energy” makes up only 12% of its consumption. We call it “green energy”, not “clean energy”—more on that in a minute. 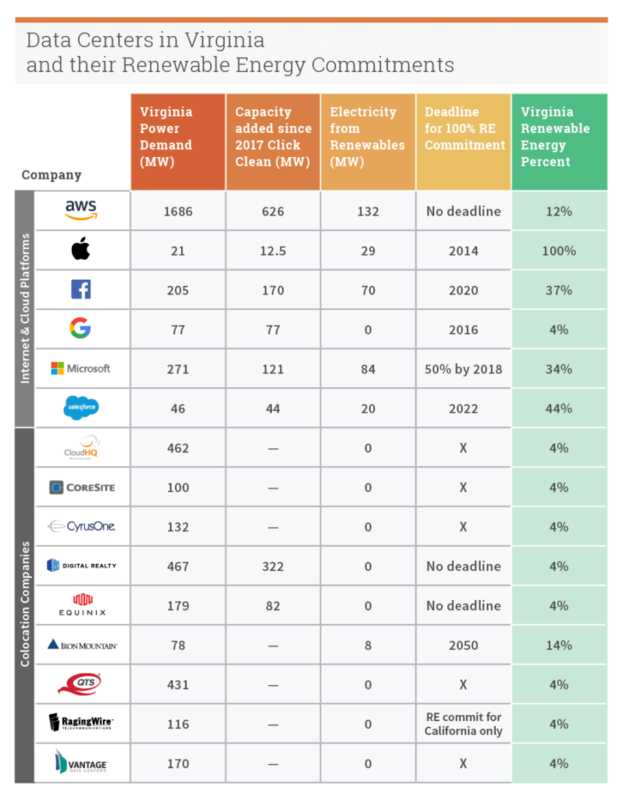 Many of the largest data center operators with non-binding “commitments” to 100 percent renewable energy have continued to rapidly expand their presence in Virginia. The demand for energy—dirty or otherwise—went up as a result. Dominion Energy, Virginia’s largest electricity provider and the primary electric utility for the Data Center Alley, has mostly resisted “going green”. Only a tiny fraction of its energy mix, namely 4% (yes, it’s not a typo: four percent) is sourced from renewable energy. There are obviously plans to up that to 10%, but that will only happen by 2030—in a whopping 11 years from now. There is no doubt that Amazon Web Services (AWS) is already ranked as one of Dominion Energy’s largest electricity customers and as such, bears some of the responsibility for the increased reliance on dirty energy in Virginia. Back in late 2014, AWS declared a commitment to 100 percent renewable energy, but it rescinded on it in 2017, according to Greenpeace. The watchdog’s estimates of AWS electricity consumption in Virginia aren’t certified and/or verified by a third-party with real access to actual data. AWS reportedly went out of its way to not be helpful in a meaningful way. Since 2017, AWS appears to have back-peddled on its 100 percent renewable commitment. Of the 13 companies in the report “Clicking Clean Virginia – The Dirty Energy Powering Data Center Alley” that operate their own data centers in Virginia, two data center operators stand out: Facebook and Microsoft. Both actually achieved some success in securing a supply of renewable energy in Virginia. According to Greenpeace, Apple has a consumption of only 21 megawatt while it generates 29 megawatt from its own renewable sources. That sounds kind of impressive, but wait until you hear the rest of the story. Apple may be using 100% renewable energy sources in its own data centers, but as CNBC’s Jordan Novet found out, the company relies heavily on Google for CDN and storage services for its iCloud and Apple iTunes offerings. Google is Apple’s preferred cloud service provider, the dirtiest hyperscaler on the Greenpeace list of offenders. As a result, Apple’s “100% renewable energy” score is at best somewhat misleading. Apparently, Apple has relied on third-party clouds to deliver many of its most profitable services, like the iCloud and iTunes, in the past. CNBC’s Jordan Novet found out that “Apple periodically publishes new versions of a PDF called the iOS Security Guide. For years the document contained language indicating that iCloud services were relying on remote data storage systems from Amazon Web Services, as well as Microsoft’s Azure.” So Apple swapped Microsoft’s Azure Cloud (running on 34% renewable energy sources) and AWS (with 12% renewable energy) for Google with its by far lowest score of any hyperscaler (just 4% renewable). By the way, in the latest version of the iOS Security Guide, the Microsoft Azure reference was replaced by a reference to the Google Cloud Platform. This document is licensed under https://creativecommons.org/licenses/by-sa/4.0/deed.zh the license Agreement. The latest update doesn’t indicate whether Apple is using any Google cloud services other than core storage of “objects” like photos and videos. The document also doesn’t make it clear when Apple started storing data in Google’s cloud. Microsoft declined to comment. Apple didn’t respond to a request for comment. 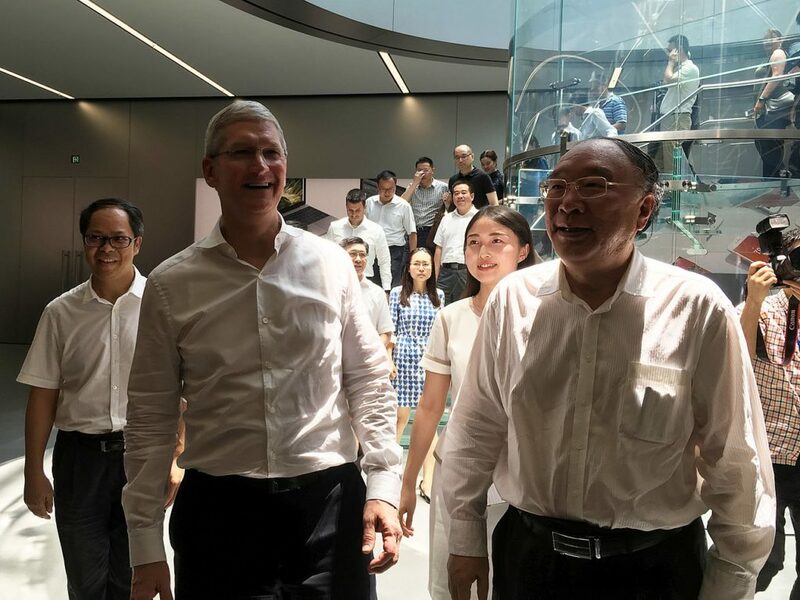 As the Cupertino-based Apple Inc. is known to suppliers and third-parties as a stingy penny pincher, Google’s dirty electricity seems to fit the bill just fine. Obviously, using Google as Apple’s prime Cloud provider would tarnish Apple’s flawless #1 spot in the ‘Clicking Clean Virginia – The Dirty Energy Powering Data Center Alley’. Except that it didn’t, because Greenpeace was kind enough not to mention it. Sounds like #fakenews, all over again. Nearly all tech giants have made lofty promises to power their data centers with renewable energy, the assumption being that “renewable” energy is always “clean” energy. Unfortunately, it’s not the case at all. For its rapid growth of energy supply in Virginia, Dominion Energy heavily relies on conventional energy sources and conventional infrastructure, like the Atlantic Coast Pipeline. Yet the argument can be made that conventional energy is preferable to the reckless exploitation of “renewable” sources. The problem is called ‘toxic green’. “Green energy” should be a match made in heaven, shouldn’t it? The problem is caused by the ‘Orwellian Doublespeak’. ‘Green energy’ from solar cells should is just what we should strive for? Well, the answer is: it depends. Sustainable Power Group (a.k.a. sPower) has a lot of opposition to its ‘green energy’ projects. The reason is actually quite simple: Cadmium Telluride (CdTe) is the culprit. Since the discussions are narrowed down to mere sound bites and relevant details are mostly omitted, in the dystopian age of George Orwell, words no longer mean what they use to mean. And that’s not an accident, but by design. There is nothing ‘green’ about ‘Green Energy’ if toxic indeed solar cells based on Cadmium Telluride are deployed. sPower wants to up the ‘green energy’ to 6,350 acres in Spotsylvania, Virginia. However, according to Johnny Kampis’ opinion piece ‘As Virginia Solar Farm Decision Looms, Fight Continues Over Cleanup Costs’ the opposition seems to be fiercely. 1.8 million solar collectors are supposed to produce an impressive 500 megawatt of energy. Indeed, it sounds quite nice, but it isn’t, because Cadmium Telluride is a highly toxic substance. As if to make bad things even worse, the surface of these solar cells based on CdTe have to be treated with Cadmium Cloride (CdCl). That the Opinion of Scott Shenk in his ‘Solar Panel Study (date: 2019-03-20). As a result, by pushing for the solar cells of sPower, Greenpeace helped to poison the eco system with Cadmium Telluride and Cadmium Cloride. If implemented in its full capacity, sPower will irreversibly damage the eco system around Fawn Lake destroying with it the animal life and the biodiversity and also poisoning human life as well. 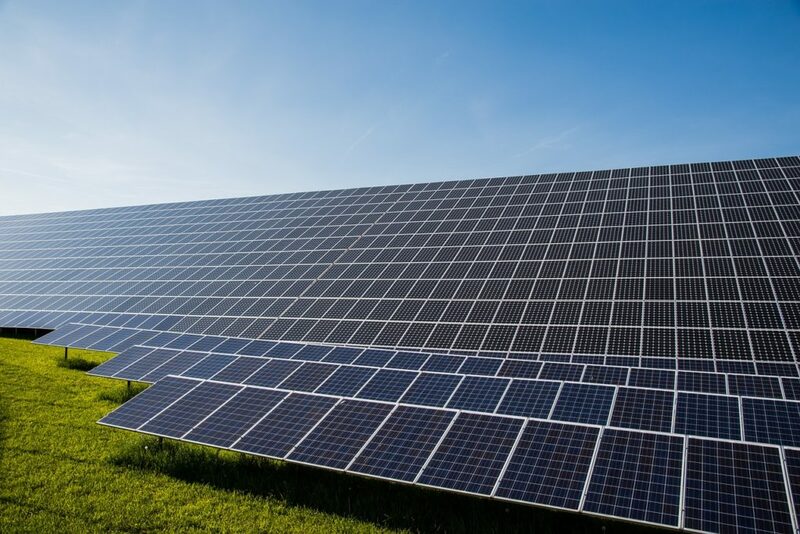 As concerned citizens continue to rail against a plan to build the largest solar farm in the eastern US near their homes in Spotsylvania, Virginia, the local board of supervisors hasn’t yet made up their minds which way to decide the issue. Critics point out that the Taxpayers Protection Alliance the decommission bond that Utah-based builder Sustainable Power Group, or sPower, has proposed is way too low. Given that CdTe and CdCl is used, the cleanup is not a matter of if, but when. Local taxpayers will have certainly have to pay the cleanup. And the bill won’t be due in 40 or 60 or 100 years when sPower goes out of business, but probably much sooner. In a matter of a few years the Cadmium will be washed into the soil and poison the ground water rather quickly.